The black hole that was captured in a first-ever picture this week has been named “Powehi,” courtesy of a language professor at the University of Hawaii-Hilo. Powehi means “embellished dark source of unending creation”, according to a university press release. The cosmic object’s new moniker comes from the Kumulipo, an 18th century chant describing the creation of the Hawaiian universe. “To have the privilege of giving a Hawaiian name to the very first scientific confirmation of a black hole is very meaningful to me,” said professor Larry Kimura. 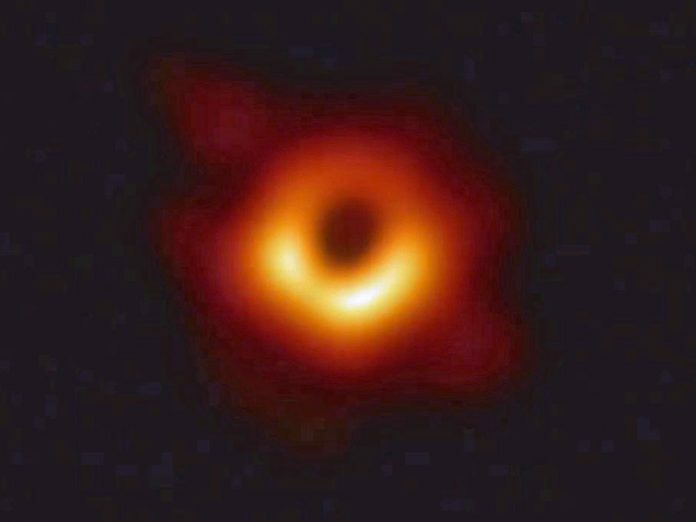 The world’s first image of a black hole was made possible by eight radio telescopes, which together formed the Event Horizon Telescope (EHT). Two of the participating observatories were located atop Mauna Kea, a dormant volcano on Hawaii Island. Astronomers said the Hawaiian contribution justified a Hawaiian name. “As soon as he said it, I nearly fell off my chair,” Jessica Dempsey, deputy director of the James Clerk Maxwell Telescope on Mauna Kea, told the Honolulu Star Advertiser. Dempsey said the name succinctly captures the scientific explanation astronomers gave Kimura about their project to capture an image of the massive black hole nearly 54 million light-years from Earth in the Messier 87 (M87) galaxy. “I had just spent 10 minutes explaining what this object was in science language. And in just this one word, he describes that,” she said. The image EHT captured of Powehi was made public Wednesday during a simultaneous press conference held in six cities around the world. Powehi looks to be the first of more visual evidence of black holes to come from the EHT. Three new telescopes are being brought online and a second observing run was conducted in April 2018.